Winchester Energy's gross oil production (across all oil wells in which Winchester has a working interest) for the June 2018 quarter was 12,660 barrels of oil. Oil and gas company Winchester Energy (ASX: WEL) is on the hunt for a farm-in partner to assist with a refocused drilling campaign and the potential future production development of its Texan assets. The Permian Basin-focused explorer and producer today released its June quarterly report, announcing a change in focus to a vertical drilling campaign after its horizontal wells “failed to meet expectations” in the first half of the year. The company is confident that its leased acreage, particularly its White Hat Ranch oilfield in Texas’ Nolan County, holds significant oil resource potential and said it would now “aggressively pursue” potential farm-out drilling opportunities. Winchester planned to roll out formal farm-out drilling proposals for industry participation early in the September 2018 quarter with the aim of commencing drilling operations before the end of that quarter. It has shortlisted four drillable prospects in its White Hat Ranch leases, targeting a series of known oil-producing formations. 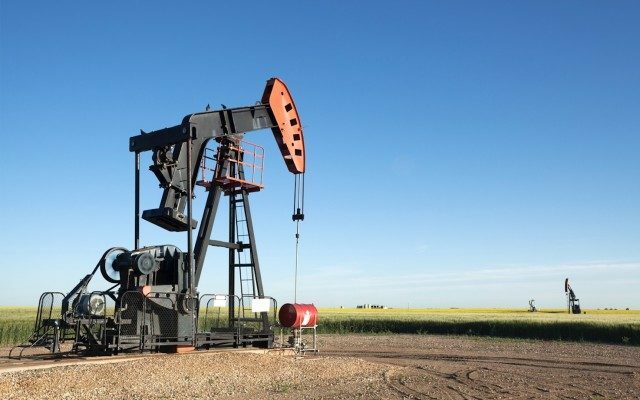 Winchester currently derives all of its oil production and revenue from this oilfield and is aiming to build its production base “to ensure free cash flow is large enough in due course to support an ongoing drilling program”. 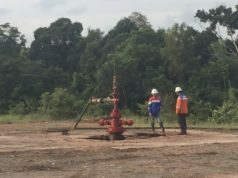 Following some disappointing drilling results at the end of last year, Winchester successfully encountered hydrocarbon shows during a horizontal lateral drilling campaign at its White Hat 39#1 well and moved straight to production testing last month. In early July, the well was placed on pump and the company reported an encouraging oil cut on daily production volumes of 100 to 200 barrels of fluid. However, over the course of several weeks the oil cut began to decline to trace levels. As a result, Winchester plans to move up-hole to focus on the oil-bearing Fry/Strawn formation where encouraging oil shows were observed during drilling. This formation is a proven producer in the nearby White Hat 20#2 well, which initially produced 200 barrels of oil per day. After almost a year of production, it has produced around 30,000 barrels of oil and is currently operating at a rate of 45bopd. Meanwhile, the company has shortlisted four prospects for its refocused vertical drilling program, which is designed to exploit multiple reservoir “stacked” targets in the Wolfcamp D organic shales, Lower Pennsylvanian and Ellenburger formations. These prospects include El Dorado, the Strawn Channel, Bast High and the Maverick Structure. Of particular interest will be the test of the oil production potential of the Wolfcamp “D” organic shales, a prolific oil producing shale to the west in the centre of the Permian Basin. Winchester operates and holds working interests ranging between 40% and 78% in the White Hat Ranch oilfield and up to 100% in the surrounding leases. Private US companies and a syndicate of technical consultants also hold varying stakes in the leases. The company currently holds a 50% working interest in eight producing wells. Its gross oil production for the June 2018 quarter was 12,600bbls, about 17% less than the previous quarter. Oil sales also declined from 15,049bbls to 14,200bbls, with an average sale price per barrel of US$63.16 and total revenue for the quarter sitting at US$357,807 (including US$20,715 of gas sales revenue).